Right now at Mamasource you can 3 educational shoe stickers for as low as $8.10. This is an $18 value! The deal is on sale for $9, but if this is your first Mamasource purchase, you can use the code JAN10 to save 10%, making it $8.10! Teach kids to differentiate their left from their right and put their shoes on correctly with Shoezooz. 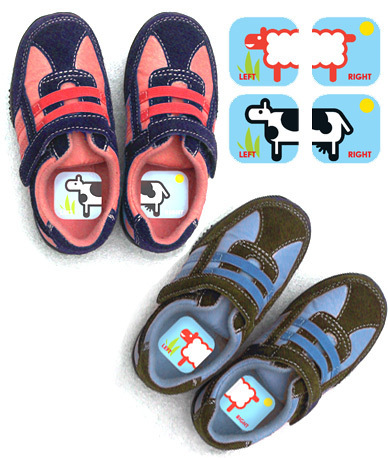 Made from durable, moisture-resistant vinyl, these fun, educational stickers adhere to the insides of kids’ shoes. You'll receive three sets of colorful animal images—half the animal is on the left sticker, and the other half on the right, a simple puzzle for kids to solve. It’s a creative and fun way to encourage toddlers to dress themselves while making busy moms’ lives easier.